Now with a loop at the touch of a button and USB port that allows you do grab your HD images. I have been tinkering with the ArduCopter since autumn 2011. While still being lightyears from perfection I do appreciate the possibilities it brings and the community spirit here around is inspiring! Here is a video from yesterdays test/ demo flights on the frozen Lake Maelaren (Stockholm, Sweden). 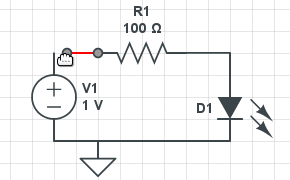 I just discovered CircuitLab, a online electronics simulator. I haven't had time to play much with it yet, but it looks very promising from what I have seen so far. Especially considering that they just launched the site. 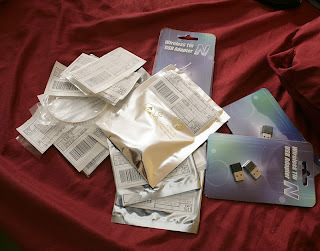 So after another $75, all of Marcy 2's brain finally arrived. To be sure, Marcy 2 has gone through a lot of failed iterations & airframes. This time, she's a Wifi monocopter. After scouring most of the shops in my area for a cover/box/hat for my 3DR Quad I found the Orthex 140 0,75 liter kitchen bowl. The fitting is so good it almost brings tears to my eyes. 3D Robotics APM 2 update -- Ordering reopened! Arducopter Hexa 3DR Frame Now on Pre-Order! The rugged Arducopter 3DR frame is now available in a Hexa version capable of supporting larger payloads and longer flight times. With the stock 850kV (purple) motors, a basic Hexa with ESCs, APM, GPS and an RC Receiver weighs in at 1356.3g and can lift more than its own weight. Police, Border Patrol, other agencies looking to expand drone use at home. Heads up: Drones are going mainstream. This week I tested and mastered the auto takeoff feature on the APM I've installed on my Nova. It took a few tries and a cracked fuselage to get it, but once I got it performed very well; I set the flight mode to auto, I run down the field, and the motor kicks on without me telling it to, I throw it, and it takes off on it's own. Very cool. Seems to be working well, am I doing it right? After the crash of my stock arducopter due to a dying battery on my controller I had to rebuild. The result of my rebuild pleases me a lot, for one I decreased the weight by almost 500 gr. The total weight with a camera and battery (not shown) is ~1400 gr. Adding telemetry will increase the weight only marginally and there is still plenty of space in the canopy for FPV gear. Another cool one from Hackaday today.